I’m not sure if most writers can remember the first time they knew they wanted to write, but I think I can. I was in the fifth grade. I remember we used to go to Language Lab and we would have a chance to do some creative writing and listen to stories. I vividly remember sitting down one day on the floor while one of the teachers took out a book and began to read us a short story called Charlie. As I listened, my eyes wandered to the board and I saw a poster with a hot air balloon. The words on the poster read something like: YOUR IMAGINATION CAN TAKE YOU ANYWHERE. I don’t know what other students thought of that picture, but for me, I actually believed it. I remember sitting there as a young boy, thinking, this is amazing. With my imagination, I can do absolutely anything I want! And I remember thinking I wanted to write stories. Not long after, I walked into class and I saw my name on the board. I remember wondering, why is my name on the board? Am I in trouble? What did I do? I was pretty talkative in that class, so I assumed I had done something wrong. I was kind of a nerdy kid at that point, but I remember thinking: Wow, I’m not an athlete, I’m not a surfer, but I’m good with words. I’m like this feeling. I like it a lot. I’m going to keep doing it. 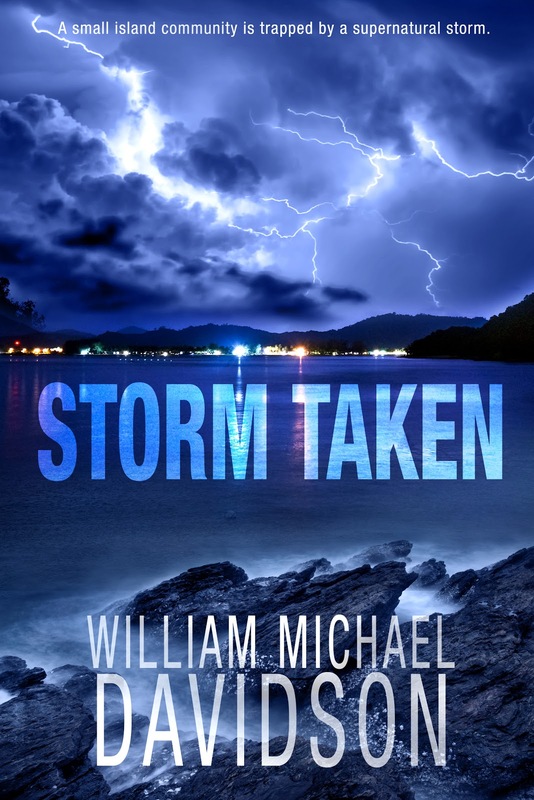 Storm Taken: A Supernatural Thriller is the first book I have read by William Michael Davidson. I thought it was pretty good. Eddie Dees and his family stuck on Naples Island. A “supernatural storm” is making many people scared and making them crazy, causing the storm grow. As Eddie tries to escape for help, he encounters Klutch and his violent followers, including Eddie’s son. Klutch and his followers will do anything to keep everyone on the island. What will Eddie do to keep his family safe from these forces? Storm Taken is one book that has quite a different story line than I am used to. It started a little slow at first and confusing to me, but about a quarter of the way through, I was hooked. It started getting fast paced and hard for me to stop reading. 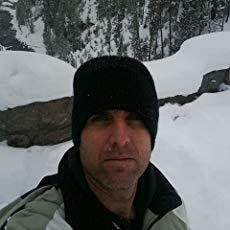 It is high on action, adventure, mystery and suspense. I had never imagined it was going to end the way it did. To me, it was no way at all predictable. I thought Storm Taken was a great read. One I did not expect to enjoy reading it as much as I did. I would love to read more by William Michael Davidson in the future. This book is proves that he definitely has talent to write unique supernatural thrillers that will keep a reader engaged (and make them feel a little creeped out, too). I am giving Storm Taken four and a half stars. I recommend it for Stephen King fans.